Our office was founded almost 50 years ago by Shlomo Aronson: today Barbara and Ittai Aronson continue and expand the professional legacy of a practice which creates responsible designs of all types, scales and at all stages of planning. We look towards the uniqueness of our historical, cultural, and natural surroundings to provide inspiration, while continually evolving to integrate new understandings. Over the course of our offices history, we have had a broad-scale influence on creating projects with a unique local sense of place across the country. 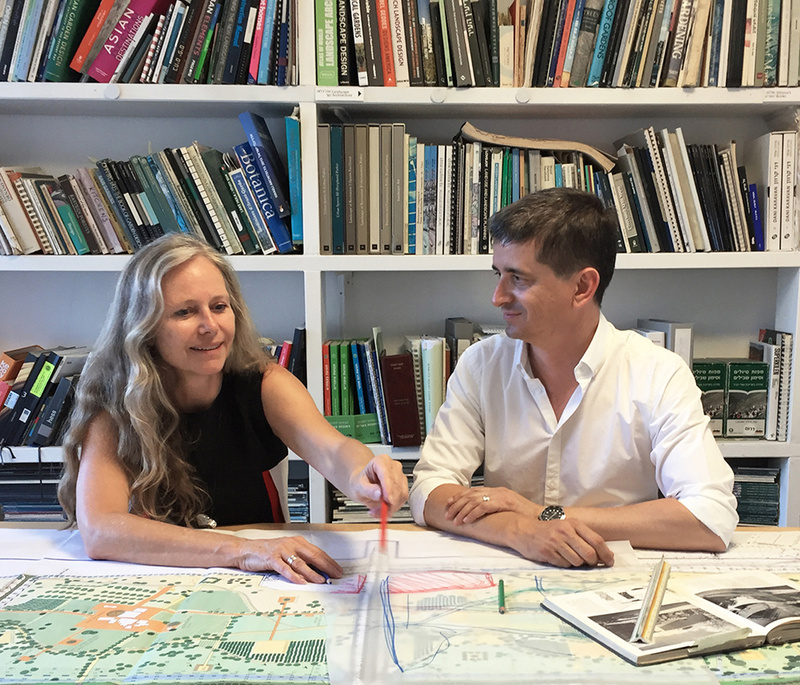 Our office continues this tradition with a multi-disciplinary team of 30 landscape architects, architects and urban designers who are perpetually testing past experiences and our distinctive design language against new professional insights and innovations. Ecological, cultural and social responsiveness has been at the heart of the practice from the beginning. Our very broad lateral and integrative approach to designing sustainable interventions in the environment, from large engineering to infrastructure projects, archaeological and regional parks, neighborhoods and public buildings, afforestation projects, promenades and urban plazas, strategic and statutory plans, has gained our practice local and international recognition. As we look forward, we are taking advantage of our accumulated knowledge to approach the extremely varied projects we are asked to design and to reach our goal of creating site-specific, resilient, and lasting projects.